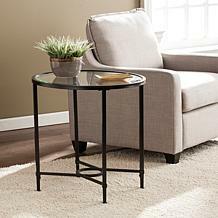 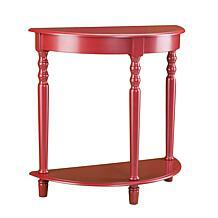 Make every flapper jealous with this effortlessly lavish accent table. 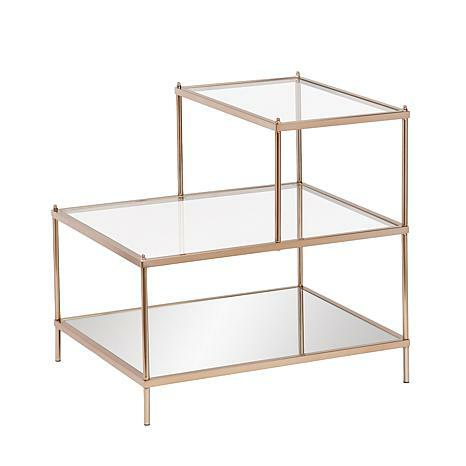 The minimalist architecture provides a striking contrast with the luxurious, metallic gold frame, high-shine mirrored shelf and lofted glass tabletop. 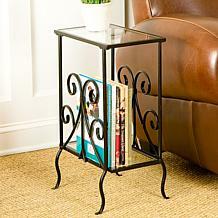 The innovative stair-step design allows for ample display or storage. 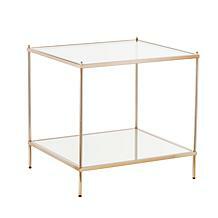 Make a stunning statement anywhere in your home with this glamorous signature piece.